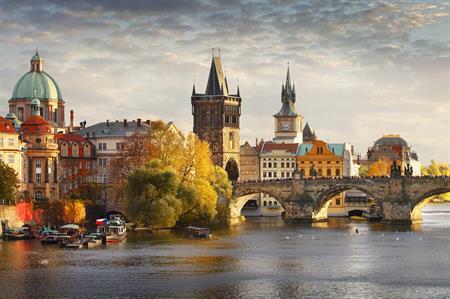 Cancer experts from around the world will gather in the Czech capital from 8 - 11 May next year. The 2019 International Gastric Cancer Congress will be held at the Prague Congress Centre from 8 - 11 May next year. It will be attended by all professions with an interest in gastric cancer research and care, including surgeons, gastroenterologists, pathologists, basic researchers, young investigators, as well as students and patient advocates. The motto of the congress will be ‘building bridges’, which is apt for a city with so many bridges – including the famous Charles Bridge. The aim of the event will be to "connect the traditional medical standards with the new and innovative approaches to diagnose and treat gastric cancer. These include novel molecular, imaging and robotic techniques, which allow for more precision and better treatment outcomes." Almost one million people around the world are diagnosed with gastric cancer every year.